Let us take a moment and remember how one year ago on this day our world looked like: Brexit? Wouldn’t happen, most of us firmly believed, with the fateful referendum days away. A putsch against Erdogan? No-one saw that coming. President Trump? Just a nightmarish fantasy then. Seemingly more realistic and even scarier, though: a President Le Pen (the name Macron was familiar only to some experts then). In Austria, some began to suspect that the presidential election would have to be repeated, but not yet how its result would turn out. This week I had the pleasure of attending a workshop in the rooms of the Wissenschaftskolleg in Berlin, organized by the Indian lawyer Menaka Guruswamy and Philipp Dann from Humboldt University, who had brought together a dozen very smart people from all over the world to discuss the question: When do democratic constitutions endure? When will they break? How fragile is the normative order in which we live? There seems to be an unprecedented global stress test for constitutional endurance going on right now. We still don’t know how far Trump will go in doing damage to the constitution before he will leave office. We don’t know what use Macron will make of his unheard-of amount of power. We don’t know what shape the UK constitution will take as Theresa May and her successors drive their country further down the Brexit road. It will take some time until we hold the all these test results in our hands, and while we nervously prowl about the waiting room, we cannot help speculating. One question asked by Menaka Guruswamy seems to be particularly bothering: Why now? Why is all this happening right now, and all at the same time? Menaka Guruswamy, currently a fellow at the Wissenschaftskolleg, works as a lawyer before the Indian Supreme Court where she fights tirelessly for constitutional law and human rights in her country. The Indian constitution is one of the prime examples of a constitution successfully channelling a tremendous amount of ethnic, religious, economic and political diversity into robust democratic processes, arguably more so than its equally renowned coeval, the German Grundgesetz. But since 2014 the Hindu nationalists have risen to power in India, this success story has become acutely under threat. There are forces actively at work to end it "as we speak", said Menaka Guruswamy. All constitutions are different and thereby comparable. Comparative constitutionalism is a flourishing branch of legal studies, and in the last years a wealth of data has been collected to test all kinds of hypotheses on constitutional performance against. Michael Meyer (DRI) presented his findings on the suitability of term restrictions for presidents as an indicator of constitutional endurance. Stefan Voigt (Hamburg) talked about his approach to compare emergency constitutions all over the world. Zachary Elkins (Texas/Austin) showed how the "inclusionary turn" in South America is reflected as an increase in legislative power for the executive in the constitutions of Bolivia, Ecuador and Venezuela. To provide reliable insights in the conditions of constitutional endurance empirical studies of that kind still seem to have quite a bit to go, though. Maybe these insights are to be found less in the constitutions themselves but in the underlying political culture: When does constitutionalism endure? 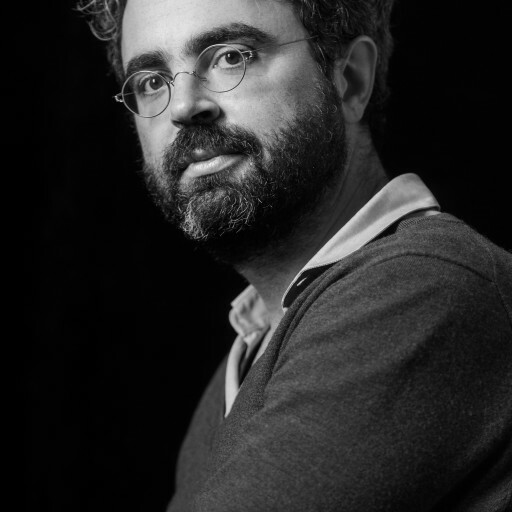 Philipp Dann (HU Berlin) pointed out that even in post-colonial Africa, the explanation why democratization often went so terribly wrong was rarely found in the institutions and procedures of the constitution but rather in the absence of a culture of dealing with dissonance. Sufficient time to develop a robust party system is often more important for the success of a democratic constitution than elections, as Steven Wilkinson (Yale) demonstrated in the comparison between India and the Democratic Republic of Congo. Sujit Choudhry (Berkeley) went one step further and suspected that the rush to electoralism correlates negatively with constitutional success. That be as it may: at least in the Western world, the driving force behind the constitutional stress test seems to be the loss of confidence in the population that liberal constitutionalism continues to serve its security. The complex ways this trust depends on territoriality and national boundaries and is undermined by globalization were disentangled by Ulrich K. Preuss (Bremen/Hertie), whereas Christoph Möllers (HU Berlin/WiKo) argued that globalization appears rather different from an Indian and from a German perspective. Elkins, on the other hand, stressed that national identity can serve as a remedy against sectarian tensions within multi-ethnic societies and therefore should to a certain extent be cherished by cosmopolitans as well. Wilkinson highlighted the way cosmopolitan elites capture local party structures as a major factor in the current popular discontent, parachuting in from the center and full of disdain for the backward locals. All these things have been around for 30 or 40 years, though, Choudhry interjected. Maybe the fuel had already been there all the while and only now someone dropped a match? If that’s so, why are so many corners of the world simultaneously aflame all of a sudden? A year is not a long time, and until we can get a decent guess of the stress test results, many more years will pass. My hypothesis would be that the most important marker for the endurance of a constitution is not so much in its ability to prevent an anti-constitutionalist takeover, but to survive it. The stress tests will turn out negatively wherever anti-constitutionalist forces, once they have got hold of state power, can successfully use them to reproduce the legitimation of their power. If that succeeds, the constitution is lost. If they encounter robust institutions – independent media and academia, energetic opposition parties, a strong and confident judiciary – that demand justification and keep the possibility of political competition open, the constitution should stand a fair chance of surviving. In other words: the best shield against anti-constitutionalism is solid constitutional protection for intermediary institutions. It is not "militant democracy" and emergency powers and fighting off enemies that counts under constitutional duress, it is institutional resilience. Is this what we are witnessing in the US right now? Among the institutions whose resistance could effectively check Donald Trump’s anti-constitutionalist tendencies, the judiciary appears to be not the least promising right now. Two new lawsuits are pending since this week, both alleging that President Trump has violated one or more of the Constitution’s emoluments clauses by accepting payments and other benefits from foreign and domestic governments. JUD MATHEWS explains the prospects for success of these lawsuits and the extent to which these depend on the applicants' standing in court. In Germany, the legal professions are as frightened by the political successes of anti-constitutionalists as any. Led by Constitutional Court Justice Susanne Baer and others, they are pursuing the ambitious project to establish a rule-of-law museum in the city of Karlsruhe. My Riff colleague CARMELA THIELE and the legal correspondent of the Süddeutsche Zeitung WOLFGANG JANISCH report on these ambitious plans, with a not uncritical undertone. In Spain, according to MIGUEL AZPITARTE, the Catalan announcement to carry out another independence referendum on November 1, leaves the authorities five possible alternatives to proceed, one more unattractive than the other and all wrapped in a dense "fog of uncertainty". Glossator FABIAN STEINHAUER this week is having fun with the way students are graded in law school in Germany, the threshold of excellence and access to the upscale job market being marked by the grade of "fully satisfactory" or, in German, "voll befriedigend". The usual abbreviation VB happens to be Verfassungsblog’s acronym, too, a fact not lost to the Glossator who just loves that sort of coincidence, and so do I.
NICK BARBER reflects on how the Internet and blogs (like this one) will continue to change the work of legal academics over the next years: "I think we are on the cusp of a very exiting and largely positive shift in the way in which we operate." Leonid SIROTA, one the leading constitutional bloggers in Canada, disagrees with Barber’s thesis that the days of single-author blogs are counted and institutionalized blogs with professional editing will carry the day, and confesses to being a" blogging romantic". STEVE PEERS shows how Theresa May’s failed snap-election gamble might bring the House of Lords back into play as a decisive factor in the Brexit game. KENNETH ARMSTRONG disagrees with the currently discussed thesis that the British government has not pressed the Article 50 Brexit button after all because for lack of a previous formal decision on Brexit. KARIN LOEVY uses the Manchester Arena bombing as an exhibit to prove the limits of Ausnahmezustand theorizing in the Schmittian mold. BRUNO DAUGERON criticizes Macron’s announcement of appointing only ministers who win their seats in the parliamentary elections as constitutionally unfounded and "contrary to political logic". VRINDA NARAIN analyzes a judgment from India which recognizes of the rivers Ganges and Yamuna, which are sacred in Hinduism, as legal persons – an at least partly positive development in terms of environmental policy, but rather a cause of concern in terms of policy of religion. Whether Donald Trump can fire the special counsel Robert Mueller, who is to investigate the Russia entanglements of his team, and what would ensue if he does, is discussed by JACK GOLDSMITH, JONATHAN ADLER, ERIC POSNER and MARTY LEDERMAN. SUGGESTED CITATION Steinbeis, Maximilian: What Constitutions Endure, VerfBlog, 2017/6/17, https://verfassungsblog.de/what-constitutions-endure/, DOI: https://dx.doi.org/10.17176/20170621-163658. Very interesting summery, thank you. Are the contributions of the workshop going to be published? I would be interested in taking a closer look at some of them.